CarGurus has 15,861 nationwide RDX listings starting at $2,900. Making its debut at the 2013 North American International Auto Show in Detroit this past January, the second-generation Acura RDX was unveiled to have a more powerful V6 engine, along with a longer wheelbase, wider track and lower center of gravity than the previous version. The 2013 Acura RDX is available in four trims: Base, Base with Technology Package, SH-AWD and SH-AWD with Technology Package. For 2013, Acura replaces the turbocharged 2.3-liter 4-cylinder engine with a 3.5-liter V6 engine paired with a 6-speed sequential sportshift automatic transmission with paddle shifters and a lockup torque converter. The 2013 Acura RDX can be configured as either front- or all-wheel drive and reaches 273 horsepower—an increase of 33 hp over last year. The SH-AWD trims have received a simplified and lighter all-wheel drivetrain system without torque vectoring. Physically, Acura lengthened the wheelbase of the 2013 RDX by 1.4 inches, widened the track by 2.6 inches and lowered the vehicle by 1 inch. These changes will help the RDX handle much better, especially when cornering and in certain off-road situations. The changes will also slightly improve gas mileage for the RDX, which runs on regular gas. The front-wheel drive RDX is now estimated by the EPA to achieve 20 mpg city/28 highway, while all-wheel versions are rated at 19/27. 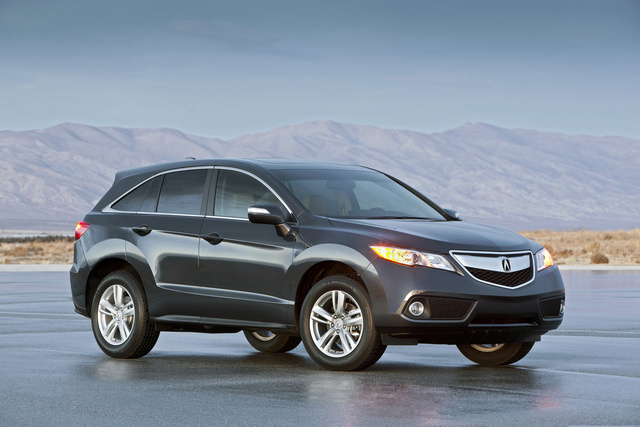 New standard features for the 2013 Acura RDX include electric power steering and 18-inch, 5-spoke aluminum alloy wheels. Previous standard equipment that is still available for 2013 includes leather seats, heated power front seats, power moonroof, keyless entry with push-button start, three-view rear-view camera and a 10-speaker 360-watt audio system. The Base w/Tech Package and SH-AWD w/Tech Package trims feature the Technology package, which includes navigation with voice recognition, a 60GB hard-drive disc, solar-sensing GPS, premium sound system, dual-zone climate control, power rear tailgate, projector beam headlights with bi-Xenon HID bulbs and front fog lights. Improved 4-wheel disc brakes that include an antilock braking system with electronic brake distribution and brake assist are also now standard for the 2013 Acura RDX. Other safety features remain the same, including 6 airbags—2 front, 2 front side and 2 side-curtain airbags—as well as vehicle stability assist and a tire pressure monitoring system. 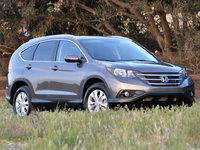 The revamped 2013 Acura RDX is expected to find its way to dealership showrooms sometime in the early spring. With the changes that Acura has implemented, the RDX has a chance to cement its place as one of the premier luxury crossover SUVs, along the likes of the BMW X3 and Cadillac SRX. 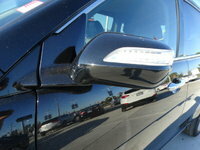 What's your take on the 2013 Acura RDX? Have you driven a 2013 Acura RDX? My car continues to play a CD that is no longer in the CD player. Help! Can NAV destination info be manualy (not voice) input while in motion, or is this prevented until standing still? Thanks.